Better Strata was a new business in Tamworth, started to help better service strata properties in the region. 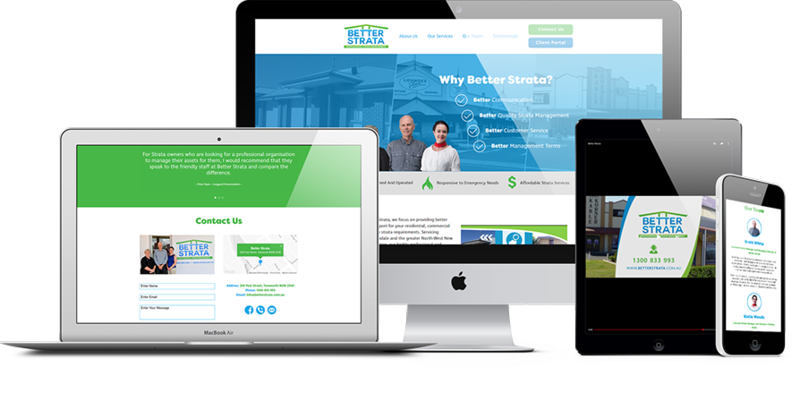 We worked with the team to construct their brand, as well as a simple, but professional website, and digital video content for use on their website, on their email signatures, and on Facebook. We then cut this video down for a TV campaign on Prime7, and managed their TV spot placements for them, as well as an effective Google AdWords campaign to allow people to find them more easily. Through their small, but engaging website presence, digital video content and Google Ad campaigns, Better Strata now consistently rank high on the first page of Google search results for people looking for strata services. Better Strata focus on providing better service and support for residential, commercial and community strata requirements in the North West region.